Includes phone and battery only. No cables or sim card included. *BLACK SPOTS COVER SCREEN, 5 INCH LONG CRACKS COVER SCREEN, MEDIUM SCRATCHES SCATTERED ALL OVER SCREEN & REAR, SCUFFED SCREEN, REAR & CASING. * Device has some scuffs, scratches and/or dings. Clean ESN. Sprint. Device is cracked but is in working condition. Redesigned from the ground up, the LG G5 waves plastic goodbye and ditches the signature rear volume controls for a streamlined, modern metal & glass design. 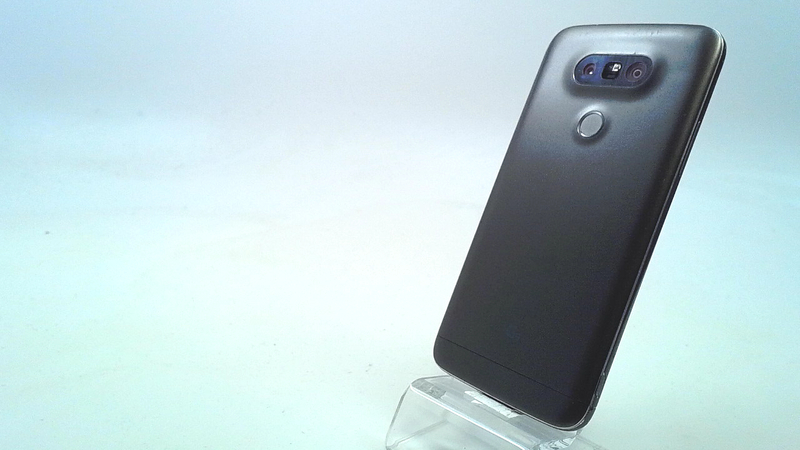 So, in its bid to endow the LG G5 with a metal armor without losing customers to the lack of microSD slot and removable battery, LG engineered a slide-out bottom compartment that houses a 2800 mAh battery and a microSD slot alongside it. Not just for quick battery swaps, this modular design allows other accessories, which LG calls â€œLG G5 Friendsâ€�, to be attached to it. 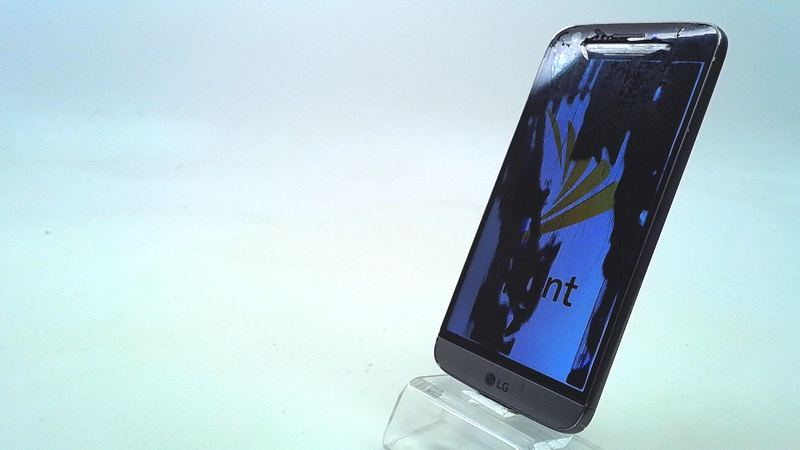 For the third time in a row, the LG G5 features a Quad-HD resolution screen, but at 5.3 inches by diagonal, it is smaller than the LG G4 and G3's 5.5-inch displays before it. LG went with an IPS-LCD display once again, and incorporates an interesting Always On feature. The LG G5 features a Quad-HD resolution screen at 5.3 inches by diagonal, which incorporates an Always On feature for quick notifications. The LG G5 runs Android 6.0.1 Marshmallow topped off with LG's own UI, and is powered by the Snapdragon 820 SoC with 4GB of RAM and 32GB of storage.